BANGLADESH. Kurigram District. 2010. 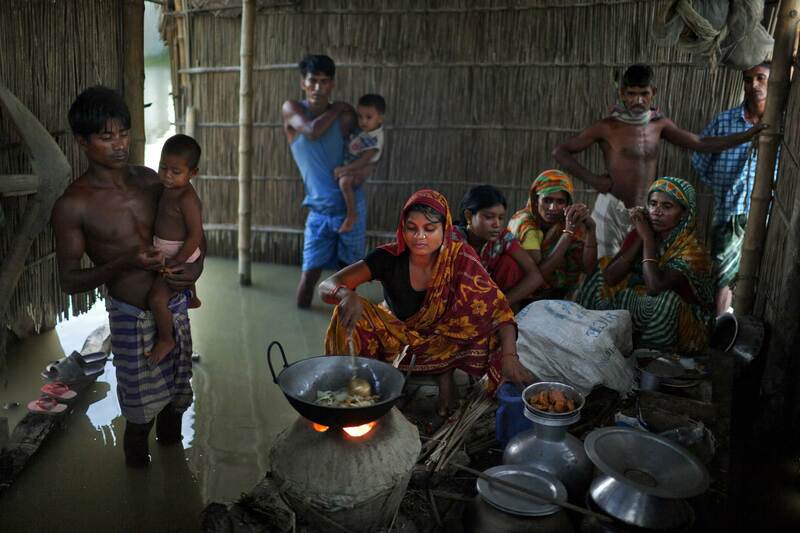 Wading in a foot of floodwater, the Uddin family gathers for a meal. The family was planning to, for the second time in a year, dismantle their house and move to safer ground.